Quality is an essential factor at INDUSTRIAL OLMAR. Each unit goes through strict controls during the manufacturing process. The outcome of these controls, added to those conducted by our suppliers to their material, make up a Quality Control File. By doing this, we ensure compliance with the Building Codes in force, as well as all the official rules in effect, both national and European. OLMAR complies with everything stipulated by the European attestations of conformity and, in particular, the Directive 97/23/EC on pressure equipment, so all the units that leave our workshops bear the corresponding CE marking and declaration of conformity. 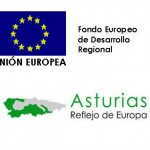 Industrial Olmar, S.A. is currently developing a project called “Standardisation of the closure system for Autoclaves with davits” subsidised by the Government of the Principality of Asturias through the IDEPA and the European Union via the ERDF in the aid scheme within the framework of the Technological Innovation Check Programme 2014 (More information). Industrial Olmar S.A.is substituting lighting for LEDs, which is partly subsidised by the European Union, through FEDER and the Principality of Asturias, in the public aids program for industries, within the call for the use of renewable energies and energy saving and efficiency actions, for private companies, in 2014. Industrial Olmar S.A. has executed a project called “Development of a three-ring locking system for autoclaves”, subsidised by the Government of the Principality of Asturias through IDEPA, the European Union through FEDER and the Ministry for Industry, Energy and Tourism, as part of the call for aids within the scope of the Program for Innovation Support of Small and Medium Companies (Innoempresa) 2007-2013. Objective: In accordance with the corporate internationalisation strategy, the main objectives of said project are: o Consolidate the presence of our products in international markets which are currently difficult to reach. O Increase our presence in major global prestige groups. Convert the company into one of the leading suppliers of autoclaves for the aeronautical/aerospace sector on a global level. 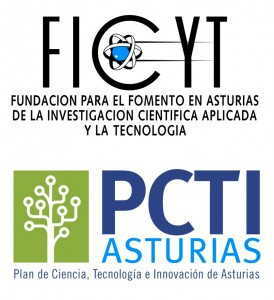 Industrial Olmar S.A. is executing a project called “Development of a new test autoclave”, which is subsidised by the European Union, through FEDER and the Principality of Asturias, through the 2013-2017 Science, Technology and Innovation Plan, as part of the call for business aids for the execution of R&D&i projects in 2014. The general objective of the project is to help Olmar evolve its autoclaves and maintain its privilege position in the market as it will enable carbon fibre part manufacturers to optimise their curing cycles reducing the energy consumption and increase their productivity without having to sacrifice quality during manufacturing of parts, as is the case with other production systems. Industrial Olmar S.A. is running a project called “Development of a new Nitrogen recovery process in high capacity autoclaves”, hiring R&D&i personnel subsidised by the European Union, through FEDER and the Principality of Asturias, through the 2013-2017 Science, Technology and Innovation Plan, as part of the call for aids within the scope of the 2014 Jovellanos Program. Objective: Assess, select and size the ideal process for nitrogen recovery from curing composite material parts in large size autoclaves. This will help to notably reduce energy, environmental and business costs associated to the operation of autoclaves. 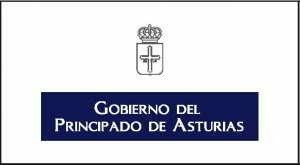 Industrial Olmar, S.A. is currently developing a project called “Analysis of the curing process of composite materials in autoclaves” subsidised by the Government of the Principality of Asturias through the IDEPA and the European Union via the ERDF in the aid scheme within the framework of the Technological Innovation Check Programme 2015. Objective: The objective of the dynamic thermal-fluid study of a loaded autoclave -considering both the fastening element and the composite material component- is to ensure the homogenisation of the necessary temperature during the consolidation process, adopting the necessary measures to homogenise the velocity field or the appropriate heating strategy. Thus, we can ensure the quality of the composite material, thereby minimising curing process times. Industrial Olmar, S.A. is developing a project called “Development of a system to analyse the defects of the composite material via thermographic vision” subsidised by the Ministry of Economy and Competitiveness of the Government of Spain and by the European Union through the ERDF within the Challenges-Collaboration 2015 call of the State Research, Development and Innovation Programme Oriented Towards the Challenges of Society. Objective: The project has the objective of developing a system to analyse the defects of the compound material or composite used in the manufacturing of parts in the aeronautical industry during the curing stage that takes place inside the autoclave.